London, 29 October 2018: The Worshipful Company of World Traders is delighted to announce that it has broken the Guinness World Record for the “most nationalities in a simultaneous popular music sing-along”. 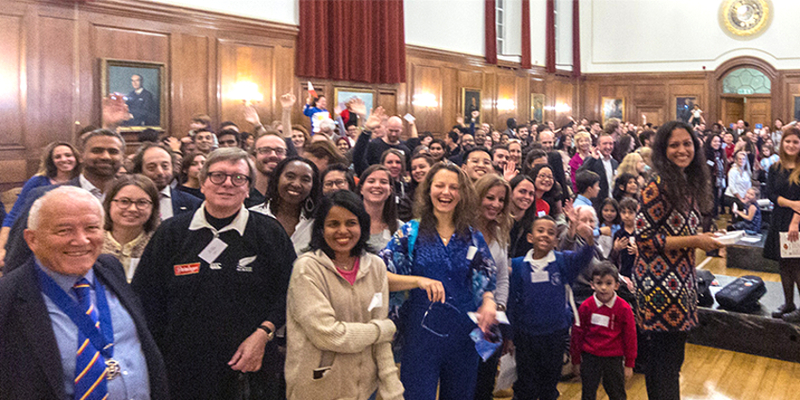 On 8 October 2018, with support from Goodenough College and Voices of London, the Worshipful Company of World Traders set a new record with 245 people from 84 nationalities singing “Imagine”, “I’d Like to Teach the World to Sing”, and “Mama Mia!”. London Business School set a record for 72 nationalities in 2016. The attempt was the brainchild of Master of the World Traders 2017-2018, Professor Michael Mainelli, who decided that the World Traders could do something to celebrate inclusion during times of apparent division, “Our Company motto is ‘Commerce and honest friendship with all’. With trade wars popping up everywhere, our idea was to show global unity here in London with everyone around the world. 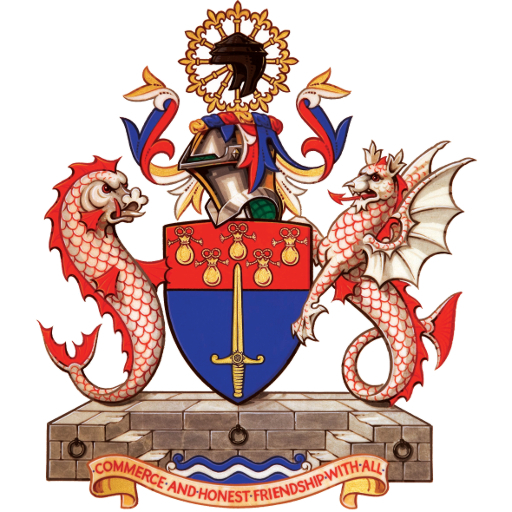 The World Traders are delighted to be the first Livery Company of the City of London to achieve a Guinness World Record. Setting a Guinness World Record is a demanding task. Independent Witnesses with experience of checking passports are requisite, and so the World Traders recruited Martin Lloyd, author of “The Passport: The History Of Man’s Most Travelled Document” for the attempt, as well as a legal witness from Mishcon de Reya. We also needed six Stewards, each responsible for a zone with a maximum of 50 singers, who had to verify that all the singers participated. Stewards and witnesses had to sign a confirmation that they were satisfied with the all aspects of the event that were under their jurisdiction. Mary Hardy, the Choirmaster, and Norman Rose, the pianist, ran everyone through their paces twice over.